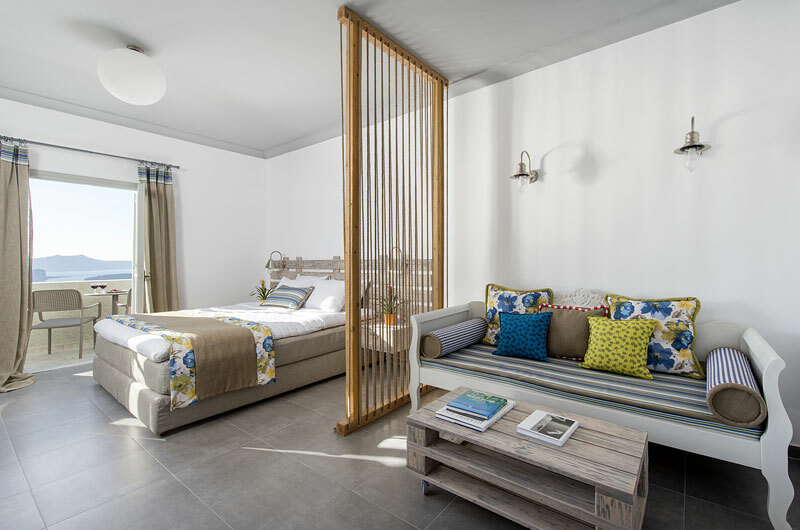 Junior Suites | Room Size: 33 square meters | Beds: 1 double or twin beds. 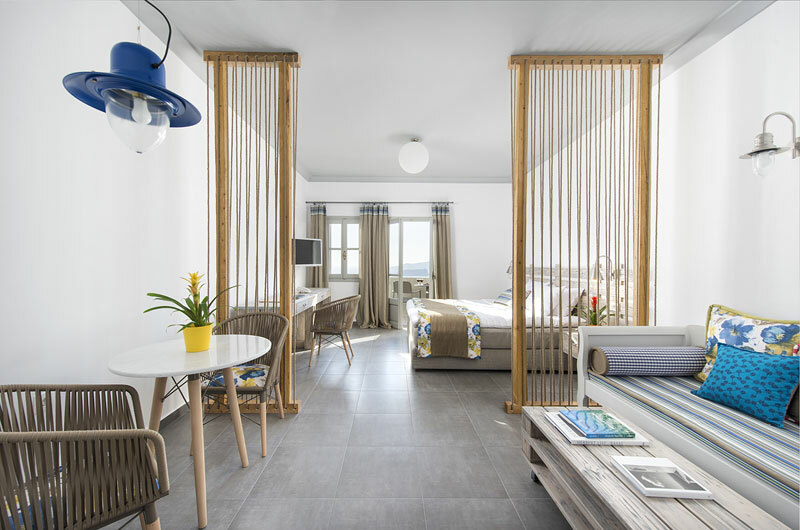 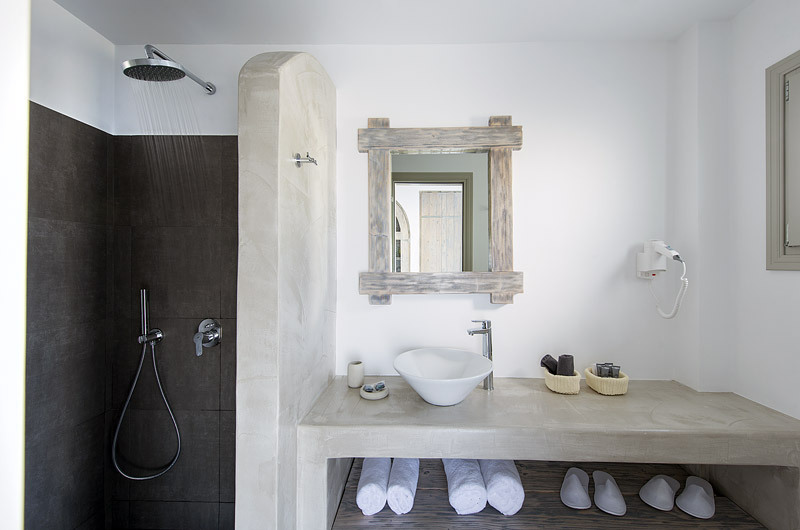 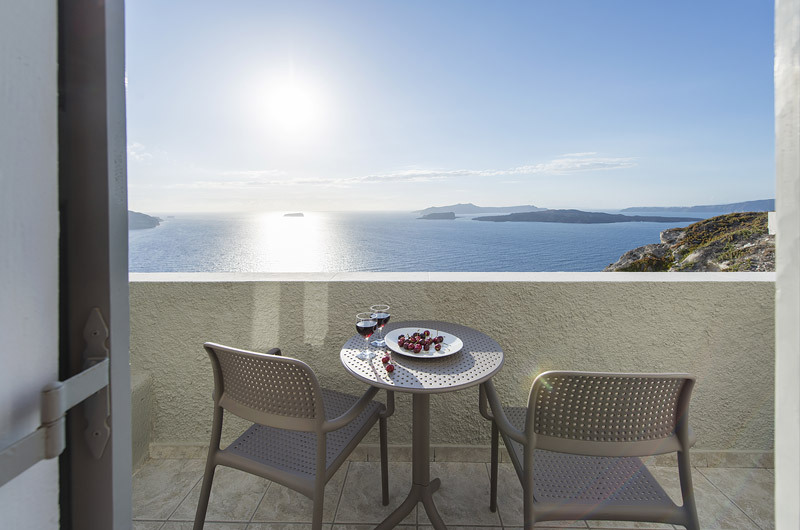 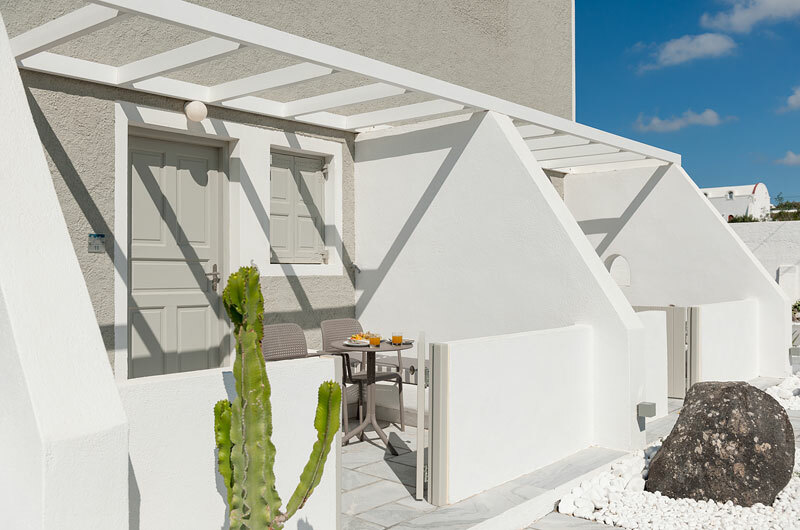 Features a sitting area and separate bedroom, this air-conditioned suite overlooks the caldera and Aegean Sea from its balcony. 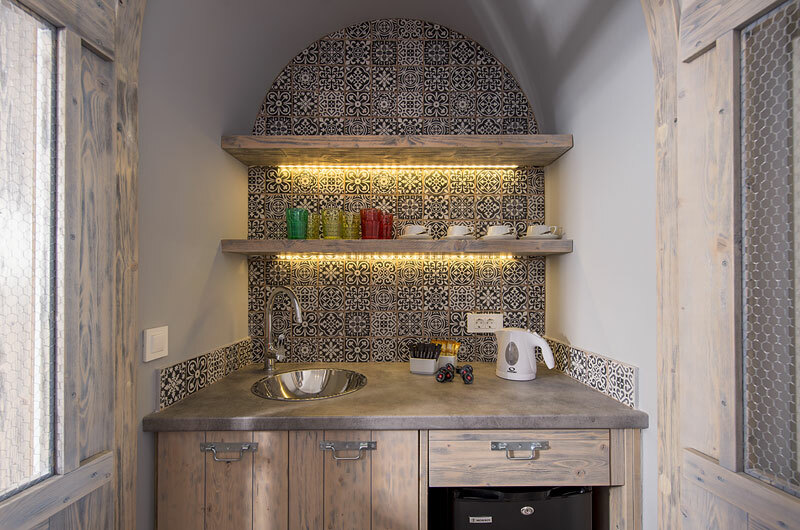 Satellite TV and coffee-tea-facilities are also furnished.